Gallstones, as the name suggests, are found mainly in the gallbladder (although they may doputovat and to many other places, see below), because of him a few words of introduction. Gallbladder (vesica Felley) is positioned on the lower side of the liver (Hepar) in a small recess. It is a small pouch the size of a lemon of around 40-70 cm3. Its main function is to store bile and concentration, so you could say it’s a bag-like container bile.Bile is produced in the liver. “Hepatic bile” is much less concentrated. Gallbladder drains from the “liver bile” water and the remaining concentrated juice stores. Gallbladder based on its outlet (cystic duct), which after about three centimeters connects with terminal liver (ductus hepaticus communis) and proceed as bile (bile duct). The final leg of the bile duct then joins with terminal pancreatic and mouth in the first section of the small intestine – the duodenum (duodenal). Bile is produced in a quantity of about 0.7 to 1.2 liter / day. Its basic components are bile acids, cholesterol and bilirubin (žlučivý pigment-dye). Bile is secreted after eating the nervous impulse. Participates mainly in the digestion and absorption of fats, but also together with the state of the pancreas (pancreatic juice) neutralizes gastric digestive juices and thus protects the intestine from damage-samonatrávením. Cholelithiasis – stones in the gallbladder, is one of the most common diseases of old age, in our region is found in 40% of women over 40 years of age and 16% of men. Of these percentages but only a fraction of the symptoms manifested externally, the rest of the stones remain unnoticed and patients come to their existence until after the autopsy. Painfully manifested mainly those stones, which moves from the gallbladder ducts. In such cases, the patient has bouts of biliary colic (severe subhepatic landscape). 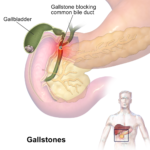 Gallstones can be of different origin and composition and to cause 90% of acute cholecystitis. It is acholesterol stones (yellow, as big as a cherry), pigment stones (black or brown) and mixed stones.Generally arise due to the increased concentration of the substance from which they are formed or by reducing its solubility. The main risk is the movement calculus if it engages in any constriction or damage the gallbladder or wall outlet. Bile stones may also completely obstruct the bile duct, thereby preventing flow of bile juice and sometimes pancreas. The accumulation of these juices can cause further damage (liver damage leading to jaundice, pancreatic damage to inflammation – pancreatitis). Risk factors are many. These include mainly poor eating habits, obesity, improper fluid intake, high content of dietary fats and omnipresent stress. Higher incidence of gallstones is also found in women during pregnancy (pregnancy) and in transition (menopause). 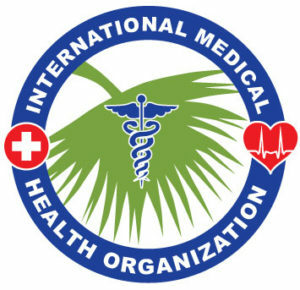 The main prevention is directed to high-quality, balanced and regular diet. The risk is also reduced while monitoring the intake of cholesterol in the diet. If, however, already experiencing pain in the landscape right rib, it is good to see your doctor immediately, because the stones of smaller sizes, you can relatively easily get rid of. It is necessary to distinguish between a condition where the stone only “fit” in the gallbladder and do not move from a state where already traveled from the gallbladder and outlets progresses to the small intestine. “Sitting” stone may not cause any problems, so his presence many times comes down to a pathologist, to which the patient has recovered from an entirely different reason. But there are cases when even “sitting” stone complicates the life of its owner. Then we see a short-term symptoms such as nausea, bloating, vomiting after dietary mistakes (too fat diet). Another situation occurs when a stone moves outlets. The outlets are tubes of a certain diameter, the stone is stretched, the lining of outlet is damaged and reacts by reflexive withdrawal (spasm), and the patient experiences paroxysmal pain below the right costal arch, which fires up under his right shoulder blade – biliary colic. The pain is accompanied by vomiting, overallschváceností, rapid heart beat (tachycardia), accelerated breathing (tachypnea) and low blood pressure (hypotension). It is divided according to the condition of the patient and also to the size of calculus, conservative and surgical. 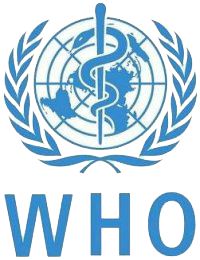 Conservative – non-invasive treatment includes a ban on eating by mouth (oral intake), administration of antispasmodics (drugs dampening of gall bladder contractions, for example. Atropine) and vitamins. Lithotripsy. Laparoscopic cholecystectomy (LSCHCE) – small holes through the abdominal wall, the doctor reaches the stones and gall bladder after surgery are apparent large scars and last cholecystopankreatografie endoscopic retrograde (ERCP). Surgical treatment follows a clear diagnosis, considering the overall condition of the patient or a significant deterioration in his condition. Ideally we put, so that we could easily live and our belly was released. We observe drinking regime by avoiding stress and eating too much greasy food or food in large quantities. Themselves then we can provide vitamins that help the healing processes, and the body is in any disease multiple needs. The main complication is that the wandering stone may get stuck in a bottleneck. It may be stuck in the neck of the bladder, thereby preventing flow of bile from the gall bladder and also prevents “liver” bile to drain into the bladder, wherein there is a concentration. Bile from the liver and directly flows into the small intestine. Calculus also may cause a jam for connecting cystic duct and the outlet of the liver, i.e. at the beginning of the bile duct. Bile then have to drain and accumulate in the gallbladder and liver, thereby damaging both bodies. In the liver, this accumulation (congestion) can cause jaundice,inflammation of the gallbladder with a burst its walls. The third place suitable for jam matte is outfall bile duct and pancreatic duct (if common) into the small intestine. In this case accumulate bile and pancreatic digestive juices. The digestive juices are substances used in the small intestine for digestion and decomposition of nutrients (see. Pancreatitis), where these substances accumulate in the outlets can damage terminals, gallbladder, liver and pancreas itself and therefore cause the inflammation.